Boikos (Ukrainian: бойки; boiky). 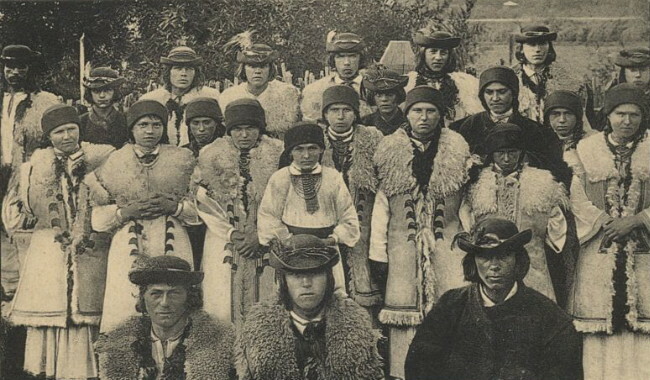 A tribe or ethnographic group of Ukrainian highlanders who inhabit both slopes of the middle Carpathian Mountains, now in Lviv oblast, Ivano-Frankivske oblast, and Transcarpathia oblast. The name boiko is thought to be derived from the frequent use of the particle boiie by the population. 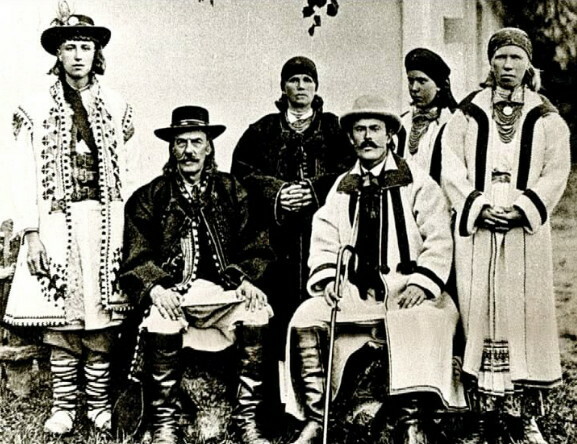 The Boikos are believed to be the descendants of the ancient Slavic tribe of White Croatians that came under the rule of the Kyivan Rus’ state during the reign of Prince Volodymyr the Great. Before the Magyars occupied the Danube Lowland this tribe served as a direct link between the Eastern and Southern Slavs. Some of the early Slav specialists, such as Pavel Šafařík and F. Rački, interpreted the remark of the Byzantine king Constantine VII Porphyrogenitus (10th century) that the ‘Boiky’ locality situated beyond Turkia (ie, Hungary) was the homeland of the White Serbs as a reference to the present Boiko region. This hypothesis is possibly true, but unproved. 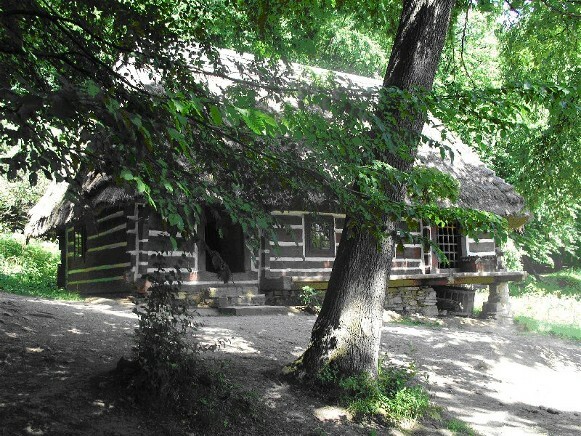 Likewise, no evidence exists to establish a connection between the name of the Boikos and the Celtic tribe of Boii, according to Yaroslav Pasternak. 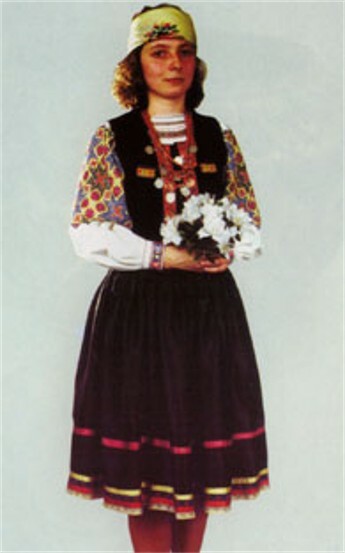 Sometimes the Boikos reject their name, regarding it as derogatory, and call themselves highlanders (verkhovyntsi). 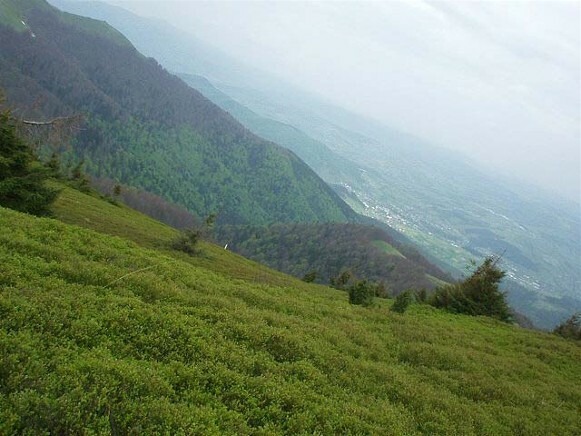 In Transcarpathia the name boiko is rarely used. 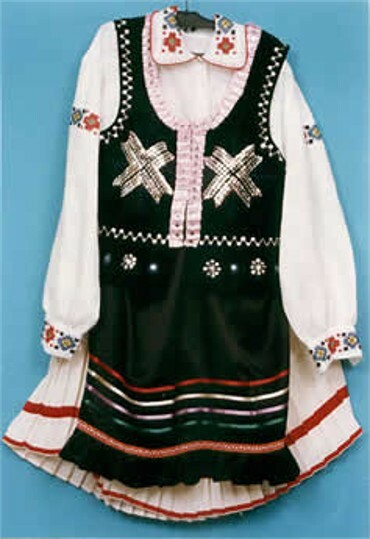 The Boikos differ from their neighbors in language (the Boiko dialect), dress, folk architecture, and customs. 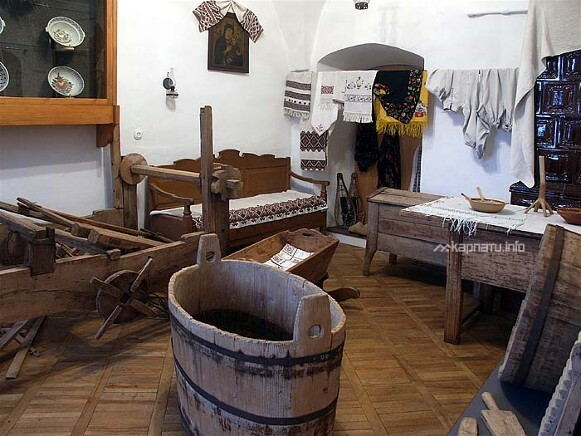 Until recent times the Boikos wore domestically made clothes: linen trousers and shirts, sheepskin vests (the bunda), short coats (the kyptar) or woolen overcoats (the serdak), coarse woolen coats of a gray or brown color (the hunka), wide-brimmed hats (the bryl), light but strong leather shoes (khodaky), and wide leather belts. The women wore shirts, fancy skirts (the maliovanka), and white linen wrap-arounds. 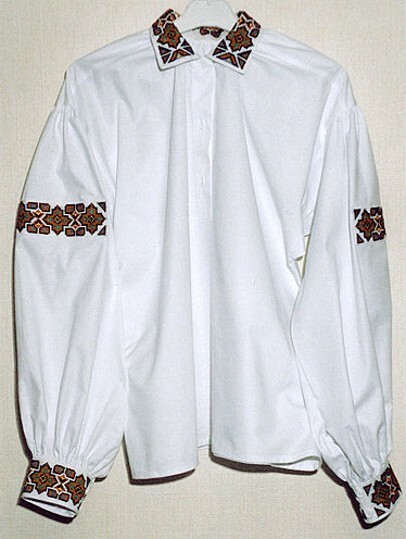 The Boiko shirt was embroidered with a geometric pattern and sometimes with a plant ornament of one (black or red) or two colors (black and red or red and blue). The same colors appear on Easter eggs with archaic ornamentation consisting of crosses or rhombuses. 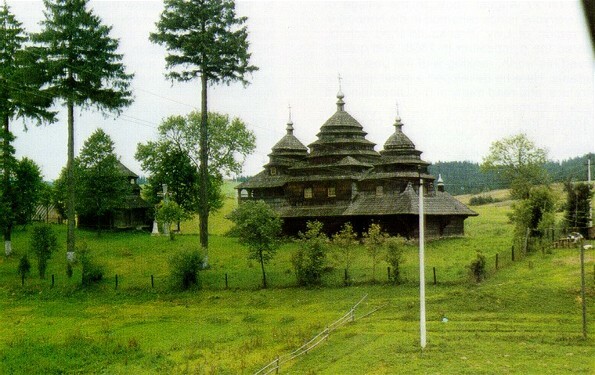 In folk architecture a unique type of house with a porch has been preserved in the Boiko region (photo: Boiko house), as have the three-domed Boiko churches with their distinctive arcade (photo: Boiko wooden church), for example, the church in Silets in Sambir county, Saint George's Church in Drohobych (15th-16th century), and the church in the village of Botelka in Turka county (16th century). 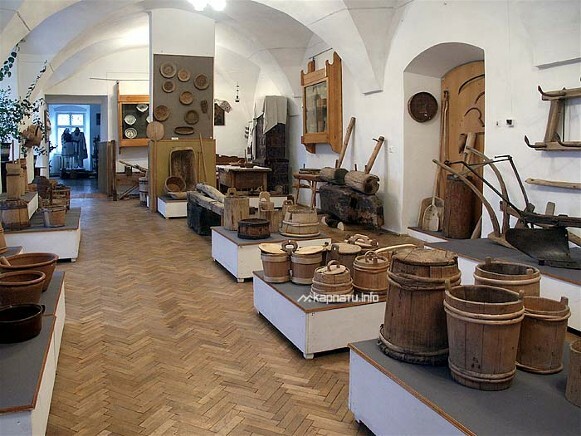 Ancient icons have been found in the old churches and are preserved at the National Museum in Lviv and the Boikivshchyna museum in Sambir. Frescoes of the 15th-16th century have been discovered, some of them during the reconstruction of the Lavriv Saint Onuphrius’s Monastery in Staryi Sambir raion. 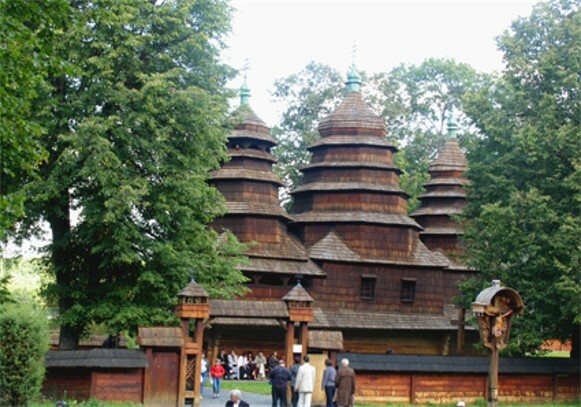 The Boikos have preserved many ancient folk customs and rituals that have disappeared in other parts of Ukraine. 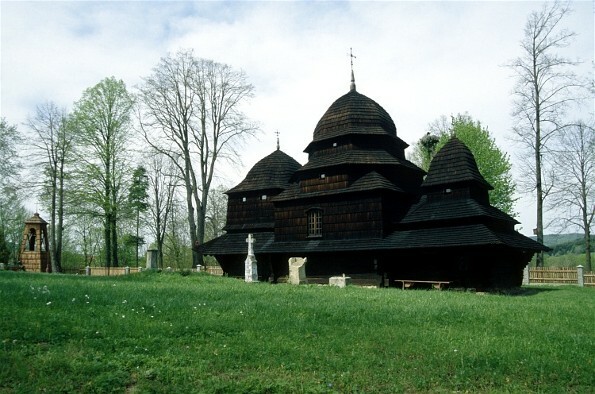 Certain legends, such as the story of the grave of Prince Sviatoslav Volodymyrovych (one of the sons of Volodymyr the Great, killed by Sviatopolk I) and the story of the king, Danylo Romanovych, indicate that the Boiko region played a role in the history of Ukraine. Historically the Boikos supported themselves mostly by animal husbandry. Their settlements were governed by the so-called Wallachian law and were exempted from corvée. Instead, they paid their lords tribute in kind, consisting of animal and forest products. The main military and trade route from Ukraine to Hungary and Western Europe ran through their territory. In more recent times the Boikos have been engaged mostly in agriculture (growing oats and potatoes) and dairying (formerly sheep grazing and ox breeding). They find supplementary work in lumbering, in the petroleum industry, and in gathering and selling mushrooms and berries. Orchards are well developed in the Verkhnie Synevidske (Synevidsko) area in Lviv oblast. Certain settlements close to the trade route that crossed Boiko territory and ran through the mountain passes practiced trading for centuries. In the past the Boikos carried salt (Staryi Sambir was once called Stara Sil, or Old Salt) to Galicia and Volhynia. Then, when the Austrian government established a monopoly on salt, a trade in fruit developed. Boiko fruit merchants could be encountered up to 1914 not only in the towns of Galicia but also in Saint Petersburg, Budapest, Bucharest, and even on the French Riviera. In the 20th century the Ukrainian national awakening took place in these enterprising Boiko urban circles, and the Boiko region produced a large number of Ukrainian cultural and political figures. Among the famous individuals born in the Boiko region are the following: Yurii Drohobych (Georgius Drogobicz de Russia), professor and rector at the University of Bologna (1478–82), and then a professor at Cracow University from 1487; the 16th-century writer Gregorius Vigilantius Samboritanus Ruthenus; Hetman Petro Konashevych-Sahaidachny; M. Tsmailo-Zhmailo-Kulchytsky (see Marko Zhmailo); and a general judge under Hetman Bohdan Khmelnytsky, Ivan Krekhovetsky. More recently there have been a number of writers who were born in the Boiko region or wrote about it, including Mykola Ustyianovych, Antin Mohylnytsky, Yakiv Holovatsky, Stepan Kovaliv, Yurii Kmit, O. Markiv, Ostap Pavliv-Bilozersky, Andrii Chaikovsky, Mykhailo Zubrytsky, Bohdan Lepky, Ivan Fylypchak, Sofiia Parfanovych, and Ivan Franko, the best-known writer from this region. In some of the works by these writers the peculiarities of the Boiko dialect are preserved, particularly in the works of Kmit, Markiv, Zubrytsky, and Parfanovych.